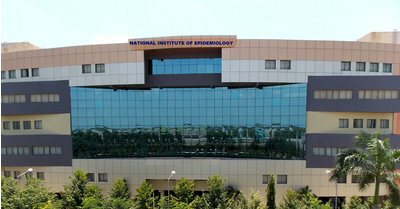 NIE Recruitment 2019: National Institute of Epidemiology (NIE) - ICMR / www.nie.gov.in is conducting recruitment processes to fill 13 vacancies. As of now, there are three recruitment drives going on for Walk in for 11 Scientist-C, Technical Officer & Other Posts, Accounts Officer (Junior Grade) Post and others. NIE Recruitment 2019 - Walk in for 11 Scientist-C, Technical Officer & Other Posts in Department of Health Research NIE, Chennai, Tamil Nadu on Contract Basis. Candidates are invited by National Institute of Epidemiology (NIE) - ICMR to attend walk-in-interview to be held on 08, 22, 23, 24, 25, 26 & 29 Apr 2019 at 09:00 AM for 11 vacancies. NIE Recruitment 2019 - Job notification for Accounts Officer (Junior Grade) Post in NIE, Chennai, Tamil Nadu on Deputation Basis. Applications are invited by National Institute of Epidemiology (NIE) - ICMR on or before 29 Apr 2019 for 1 vacancy. NIE Recruitment 2019 - Job notification for Scientist-B (Medical) Post in NIE, Chennai, Tamil Nadu on Contract Basis. Applications are invited by National Institute of Epidemiology (NIE) - ICMR on or before 22 Apr 2019 for 1 vacancy. NIE Recruitment 2019 - Walk in for Junior Nurse, Research Assistant & Other Posts on a project entitled "Cohorts for Zika Epidemiology in India (COZEI)" in Department of Health Research, NIE, Jaipur, Rajasthan on Contract Basis. Candidates are invited by National Institute of Epidemiology (NIE) - ICMR to attend walk-in-interview to be held on 03 Apr 2019 09:00 AM for 8 vacancies. NIE Recruitment 2019 - Walk in for 18 Project Scientist B, Project Scientist C & Other Posts in NIE, Chennai, Tamil Nadu. Candidates are invited by National Institute of Epidemiology (NIE) - ICMR to attend walk-in-Interview / Written Test to be held on 07 Mar 2019 09:00 AM for 18 vacancies. NIE Recruitment 2019 - Walk in for Project Technician -III (Field) Post on a project entitled "India Hypertension Management Initiative" in Department of Health Research, NIE, Telangana on Contract Basis. Candidates are invited by National Institute of Epidemiology (NIE) - ICMR to attend walk-in-interview to be held on 19 Feb 2019 at 09:00 AM for 1 vacancy. NIE Recruitment 2019 - Walk in for Scientist-D, Consultant & Other Posts in Department of Health Research, NIE, New Delhi. Candidates are invited by National Institute of Epidemiology (NIE) - ICMR to attend walk-in-interview to be held on 22 Feb 2019 10:30 AM for 8 vacancies. NIE Recruitment 2019 - Walk in for Project Junior Nurse Posts on a project entitled “Model District for Public Health Preparedness, Surveillance and Response" in NIE, Tamil Nadu on Contract Basis. Candidates are invited by National Institute of Epidemiology (NIE) - ICMR to attend walk-in-Interview/ Written Test to be held on 22 Jan 2019 from 09:00 AM to 10:00 AM for 2 vacancies. NIE Recruitment 2019 - Job notification for Assistant Posts in NIE, Chennai, Tamil Nadu on Regular Basis. Applications are invited by National Institute of Epidemiology (NIE) - ICMR on or before 01 Feb 2019 for 2 vacancies. NIE Recruitment 2019 - Walk in for Project Assistant Posts on a project entitled “Model Rural Health Research Unit” in MRHRU, Tirunelveli, Tamil Nadu. Candidates are invited by National Institute of Epidemiology (NIE) - ICMR to attend walk-in-interview to be held on 06 Feb 2019 09:00 AM for 2 vacancies.